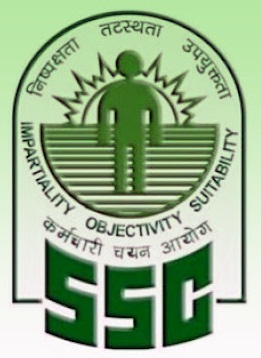 You know that SSC conducts its exam in 4 sections - Reasoning, GK, Quantitative Aptitude, and English Language. Aspirants have to attempt these 4 sections in the exam to score good marks and clear the cutoff for next round. The important point of the SSC exams is that there is no sectional cutoff means aspirants are not bound to attempt every 4 sections, he/she can attempt any of these sections carefully and with better accuracy to clear cutoff. This is the advantage that gives the students while attempting the paper in the exam and can skip a weak section or attempt less questions of that section and can focus on strong sections to score. Also Read: Strategy to prepare for SSC exams. 1. Time Management: It is the most important factor which the students should follow. The base of this gets started while preparing for the exam. In the examination hall, you have 2 hours (120 minutes) in which you have to solve the questions and mark the answer oval in the OMR sheet. This means the students have only 100-105 minutes to solve or go through all the questions and 10-15 minutes to mark the oval and extra 5 minutes will be consumed by the invigilator for attendance formalities. So, i advise whenever you practice the sets in time bound, practice them in with time set of 100-105 minutes not 120 minutes. 2. Time to each section: Now, you know that you have only 100-105 minutes in examination hall. But, the question is that which section should be given how much time while solving. Part A- General Intelligence and Reasoning- Attempting of this section must be completed in 30 minutes (whether you are good or weak) and next 5 minutes to mark the ovals in OMR sheet. This constitutes 35 minutes. Part B- General Awareness- This is the least attempted section among SSC aspirants. So, it will be 'game over' situation if you devote more than 15 minutes (including marking the oval). Part C- Quantitative Aptitude- This section requires more time whether you are strong or weak. If you have practiced lots of questions and cleared the basic concepts, you won't take much time. In this, i advice solve that questions, which look to you know how to solve and requires not much calculation. Don't spend much time on 1 question, if you don't get answer in 1 or 2 go. Total 30 minutes are enough to solve the questions and extra 5 minutes to mark the oval. Part D- English Language and Comprehension- I would say, this is the most dangerous section if you have not prepared well. In this section, you will be able to mark many questions in the exam but after the exam, you will find many wrong answers have been marked and very wrong answer costs -0.25 marking. So, i advise attempt this carefully and properly. Mark only those answers in which you are sure. Just spend 25 minutes in solving the questions(including reading and attempting 2 Comprehensions) and 5 minutes to mark oval. So, you have managed total 105 minutes .i.e. 35+15+35+30. 3. Sequence of attempting sections: This also plays a vital role in managing the time and scoring better. Sequence of attempting sections actually depends on your practice. No one can tell you or guide in this matter. But, if you have not prepared for this or still puzzling, i help you out. - 1st attempt GI and Reasoning section as this section is scoring and boost your moral while attempting the paper. - 2nd attempt is GA as this won't take much time. If you know the answer, you will mark it. But, don't guess the answers. - 3rd attempt is English Language as this also takes less time and if you know the answer exactly, then only you will mark it. - 4th attempt is Quantitative Aptitude as this sections requires to contemplate before attempting any answer and accuracy remains good, if prepared well. Note- Attempt Quant section in the last in your strategy as it takes more time and can consume more time avoiding other sections which may cost you in scoring good marks. 4. Speed and Accuracy: Now, you must have understand why speed is required in every exam. 200 questions in 120 minutes to solve but speed will be useless if accuracy is not there. Good accuracy is required to score better in the exam. Hence, practice helps you in achieve both. - The student should know what questions are taking more time and what questions are not worth of devoting time. This traits can help the students in attempting questions with greater speed. - Example: In Reasoning section, there are questions like number series, abcabcabc series, mathematics square puzzle consumes more time compared to other questions. So, prepare accordingly to manage time for each questions too. In English Language section, comprehension passage, error finding sentences take more time compared to synonyms, antonyms, and one word substitutions. In GA section, you no need to spend much time on reading and thinking. If you get the answer in reading it at 1st time, mark it. Otherwise, there is no use of implementing logic in most of the questions of this section. In Quantitative Aptitude, Data interpretation, and Arthimetic take less time if prepared well. Whereas, algebra, trigonometry and mensuration need to ponder before answering. Hence, prepare yourself according to the exam pattern and syllabus which will help you in gaining good score in the exam. Comments "Strategy to attempt SSC government jobs exam paper"